Since when did American builders turned their heads towards Norton Commandos? Not for long, but they do some of the best and most expensive Norton Commandos ($39,500 each) in the Colorado Norton Works located in the Rocky Mountains. 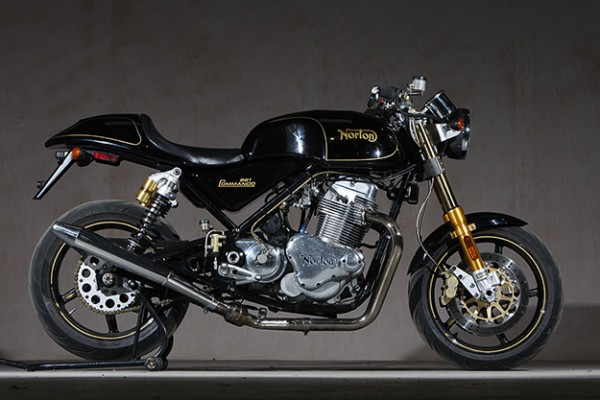 In an attempt to retain the original look and sound, the bike called Norton Café, uses an 865cc British parallel twin so it isn’t that American after all. The project is run by Matt Rambow who plans to built only 13 such motorcycles in batches of three until the summer of 2010. Modern times call modern features so the engine is fuel injected and develops 60bhp, there is a pair of Brembo disc brakes, a CNC-machined cylinder head, 2-inch lowered suspensions, a hydraulic clutch, belt primary drive and hand made alloy body panels.